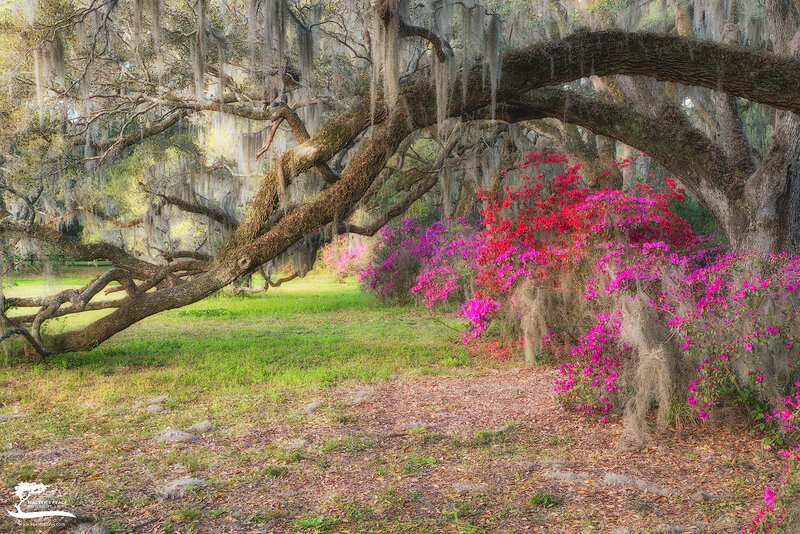 Another of the many beautiful places at Magnolia Plantation. We hit the peak of the Azalea bloom just right. I have always loved the look of this shot with the trees arching over and touching the ground. Photo © copyright by Kevin Reaves.